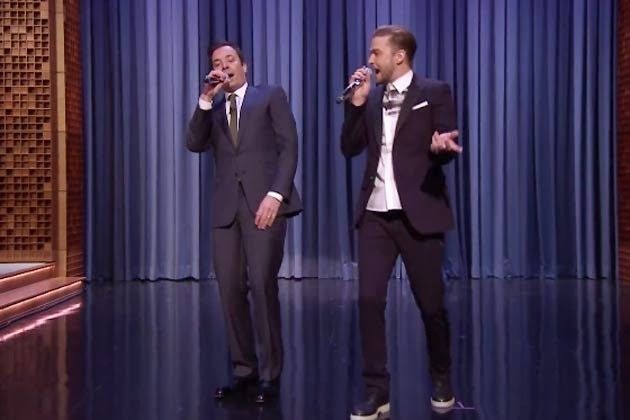 Justin Timberlake teamed up with Tonight Show host Jimmy Fallon to deliver “The History Of Rap part 5” during Friday’s night’s program, and video of the performance is available. The pair ripped through more than 20 rap classics, starting with LL Cool J’s “I’m Bad”, before doing snippets of tracks by Run DMC, the Beastie Boys, Tone Loc, Outkast, Jay Z and more. 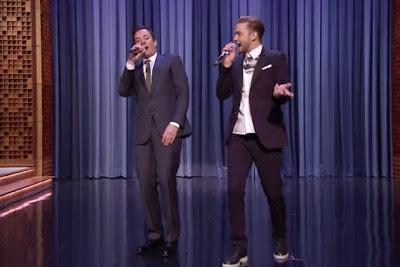 Timberlake was the lone guest on the final night of the first week of Fallon’s new gig as Tonight Show host; the show moved back to New York this past week after more than 40 years in Los Angeles and following the recent retirement of Jay Leno. After the program, Timberlake performed at Madison Square Garden as part of his 20/20 Experience world tour; the rescheduled date was originally booked for Wednesday, but the singer took ill and had to postpone the concert to Friday.